5 Ways on How to Achieve Simply Gorgeous Salon Hair for only 6 pesos! Our hair is our crowning glory and it's a must to take care of our locks as much as we take care of our body. But how do we really take care of it? Most, if not all, women of all ages have tried doing salon treatments that eventually damaged their hair. Although there are treatments that can repair damaged hair, it will cost a lot to maintain healthy locks. But now, you can achieve a simply gorgeous salon hair. How? 1. Wash your hair properly as much as possible. Massage your scalp with shampoo and conditioner for about a minute and rinse. 2. Daily baths and showers can remove the hair's natural oil. Try to wash your hair every other day to maintain the natural oils on your hair. 3. Do not brush your hair right after taking a bath. Wet hair is stretchier and has a tendency to break. 200 brush strokes a day causes hair dryness and breakage. 4. Avoid using hair styling that produces too much heat. It makes hair prone to more damage and breakage. 5. Use a good pair of shampoo and conditioner to nourish your locks like Symply G. It has Keratin treatment and Argan Oil that transforms dull and frizzy hair into shiny, soft, and healthy hair. And it is only for 6 pesos! No need to go to salons every week. 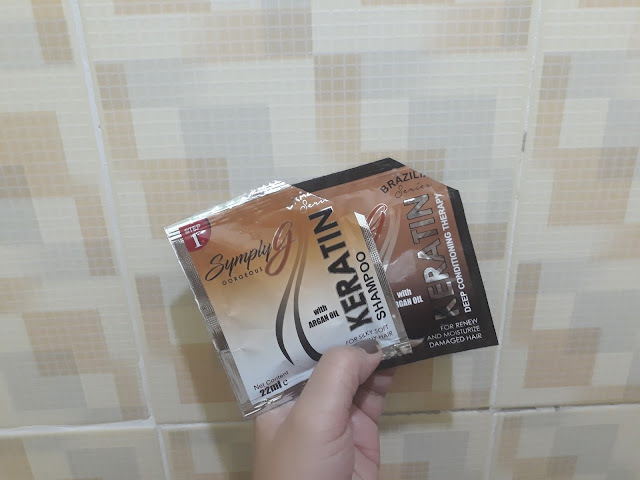 Get the benefits of Keratin and Argan Oil in one sachet. Quick review: I used both shampoo and conditioner for 3 weeks and I noticed less hairfall, less dandruffs, and smoother hair. 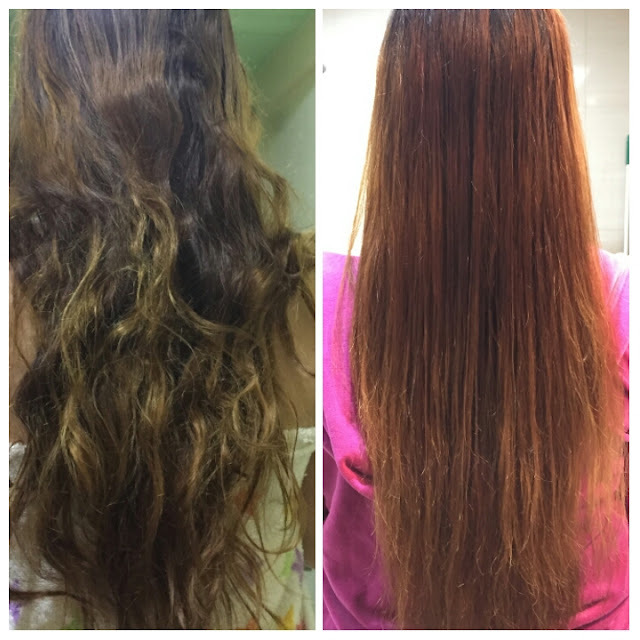 Although not a "perfect" rebonded hair feel, I am more than happy to have a hair that has less damage than before. I still have split ends, though. But this shampoo and conditioner's goal is not to actually straighten the hair, but bring back the natural health and softness of the hair. Symply G shampoo and conditioner is now available in all Puregold branches, local supermarkets and sari-sari store nationwide. Hi Kathlyn! Symply G Shampoo and Conditioner is available in Puregold branches, local supermarkets and sari-sari stores near you for only 6pesos! Hi Angelica! Symply G Shampoo and Conditioner is available in Puregold branches, local supermarkets and sari-sari stores near you for only 6pesos!